We are proud of Lexington’s attractions and are ready to show them off to you. While visiting our fair city, take some time to check these out — you’ll be glad you did, and don’t miss the Water works around Lexington. Antique Shops – Lexington offers numerous antique shops and dealers. Century Old Houses – Several homes in Lexington have been restored to their original beauty. They are a sight to behold. Community Health and Fitness Center – Daily, weekly, monthly, quarterly and annual rates available. Walking/jogging track, numerous exercise machines, personal trainer available, educational health programs offered. Dawson County Fair and Fairgrounds – Located in south Lexington. Dawson County Historical Museum – 805 North Taft Street. Exhibit rooms, outdoor displays, gift shop, gallery. 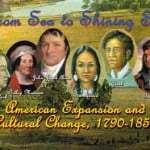 Dawson County, Nebraska – Official web site for Dawson County. Family Aquatic Center – 9th & Monroe Streets. 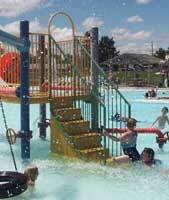 Zero-depth pool, water slide, lap pool, diving pool, snack bar, sand volleyball and sand play area. Swim lessons available. Swim team. Heartland Museum of Military Vehicles – 606 Heartland Road (I-80 and Hwy 283 Junction) Military vehicles from WW I, WW II, Korean, Vietnam Wars as well as Operation Desert Storm. Johnson Lake – Approximately 9 miles southwest of Lexington is a great place for fishing, sailing, boating, swimming, and other water sports. 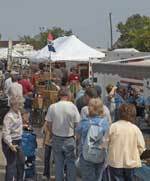 Labor Day Antiques and Crafts Extravaganza – This antiques, crafts and flea market draws venders from many states. Our extravaganza was the 2004 Nebraska Event of the Year! Don’t miss this one! Platte River Historic Trails – The Mormon and Oregon Trails and the Pony Express passed through the Lexington area. Thanks to the Dawson County Historical Society, the Lexington Visitors’ Bureau and local Boy Scout, Alex Stewart, a Two-Part Circle Tour of the Oregon Trail and Plum Creek Massacre Sites has been designed for you. 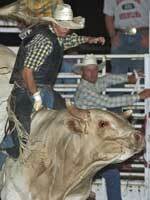 Plum Creek Rodeo annually in June. Plum Creek Players Theater Group – We have been blessed with a great number of talented people in our area and enjoy productions by them each year. The Plum Creek Players have presented Beauty and the Beast, Wizard of Oz, It’s a Wonderful Life and many other performances. Wineries – The Lexington area is home to an alternate crop for our farmers and other entrepreneurs. A number of vineyards have been established in the area as a way of diversifying our farm ground. 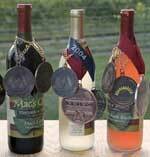 Mac’s Creek Vineyards is just one of these vineyards and now is home to a family-operated winery. Visitlexington and discover all we have to offer here! Recreation, special events, multi-cultural events, year-round entertainment and so much more. Lexington is the home of the annual Labor Day Antique and Crafts Extravaganza as well as the greatest Nebraska historical markers. If you are wondering where is Lexington Nebraska, we welcome you to browse through our site and travel Lexington. © Lexington, Nebraska Chamber of Commerce. All rights reserved. | Theme: Wisdom Blog by CodeVibrant.